Search giant's "learning center" will be open for five months. 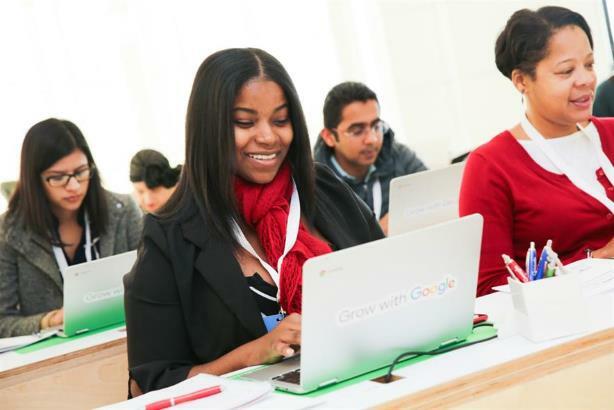 Google has opened a learning center to support people looking to use digital skills to find jobs, advance their careers and grow their businesss. The Grow with Google N.Y.C. Learning Center is offering free hands-on workshops in partnership with community organizations, one-on-one coaching and community events. The 11,000-square-feet space has three classrooms offering multiple sessions per day and is open six days a week. Google experts are on-hand to answer questions through one-to-one coaching and the center is also working with other organizations dedicated to technology skills-building and training. The space opened on April 8 at Google's New York headquarters in Chelsea and will be in place for the next five months. New York is home to Google's second-largest office outside California.